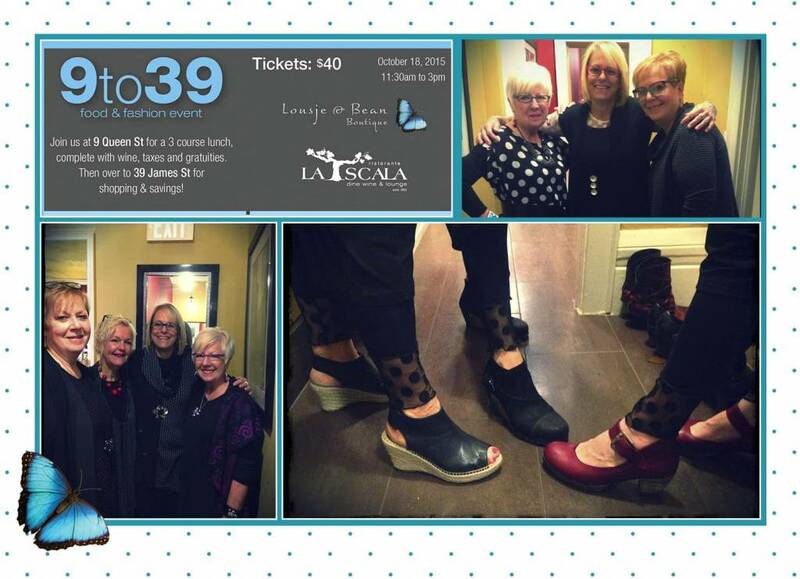 On Saturday we hosted our third 9 to 39 Fashion Show with our friends in Downtown Dining, La Scala Ristorante. With a delicious lunch, drinks, and fashion in between, this is always a fantastic ladies day out and this one was no exception. We are always so excited to see both new and old faces at the show and to have an opportunity to get feedback on the pieces and meet people face to face in an intimate setting. Following the show, we all head from 9 Queen to 39 James St (our shop) for an after party of exclusive discounts, giveaways and shopping! Our guests had the opportunity to try on the latest pieces in the Fall line and pair up some of the combinations our models strutted on the runway. Special thanks to our fabulous models, Darcie, Joan, and Kathy, for killing the catwalk, demonstrating real clothes made for real women and looking amazing doing it. We couldn't have done it without you ladies! Thanks to La Scala for co-hosting with us once again, we couldn't ask for a better place to dish on design! We hope you join us for our next show as they seem to become a bigger party every time we host another one. Don't forget to subscribe to the newsletter to get the most up to date info on announcements when tickets go on sale so you can be a part of our Fourth 9 to 39 Event!